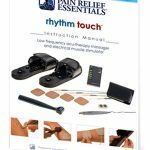 Pain Relief Essentials is proud to offer carefully-selected, made-in-the-USA Rhythm Touch replacement pads and cords for the Rhythm Touch Electrical Muscle Stimulator. 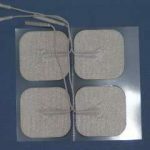 These cloth-backed replacement pads (electrodes) are constructed of a uniquely-coated Silver (Ag) carbon film that provides superior conductivity and eliminate electrical current “hot spots”. This highly conductive silver layer disperses the electrical current evenly over the entire electrode surface. Our electrodes are also manufactured with stranded copper wire instead of a carbon lead which assists in providing further conductivity. The end result is that you will have a more comfortable and effective experience with your device. 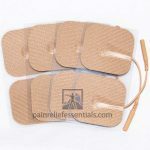 Learn more about Pain Relief Essentials premium Rhythm Touch Pads and their balance of comfort, effectiveness, durability, and price. Save 10% on Rhythm Touch Replacement Pads and Supplies. Join newsletter for code. We believe that the Rhythm Touch 2-Way is the best product available for muscle and joint pain reduction and that our replacement pads last longer than other replacement products. 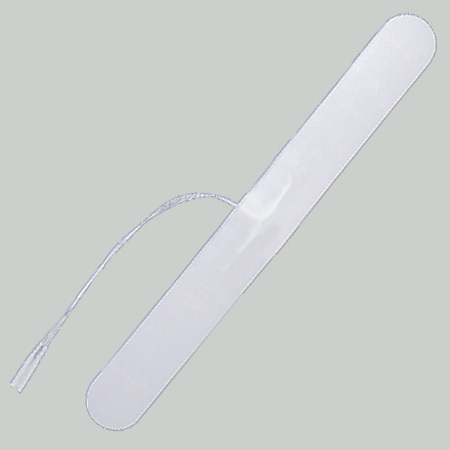 For extended pad life, please read about caring for your Rhythm Touch or EMS electrodes here. 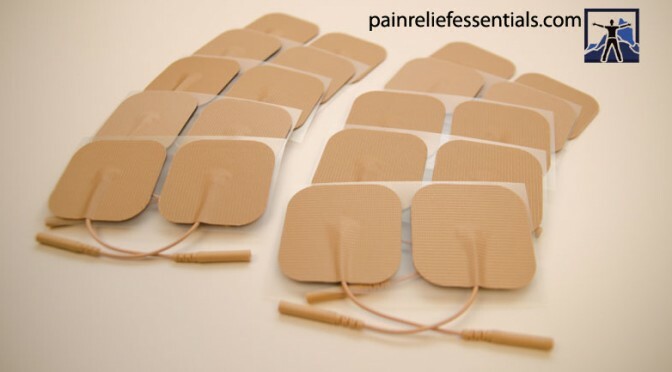 We even offer a Sensitive Skin hypo-allergenic version of our square electrodes for those who find that their skin can become easily irritated. Acu-Therapy Slippers are an fantastic addition to the Rhythm Touch family (and they work with other EMS and TENS devices) and are simply incredible. The slippers address a problem that many of our customers have: poor circulation in their lower legs and feet. The slippers make the Rhythm Touch much easier – and convenient – to use on your feet. The bottom of a person’s feet is like a fuse box. There are several pressure points and these pressure points are associated with other parts of the body. By stimulating the pressure points, the body part associated with the pressure point is also stimulated. The Acu-Therapy Slippers stimulate these pressure points and activate circulation. To use the slippers, just drop a little water-based gel (we prefer Aloe Vera gel) on the five contact points inside the slipper, slide your feet in and adjust the straps for good contact. Once the straps are adjusted, connect the Rhythm Touch to the lead wires that come with the slippers, turn on the Rhythm Touch, and choose a strength level that is comfortable. All that’s left to do is sit back and enjoy! It’s important to note that if you have neuropathy, you may not feel the stimulation right away – even at full strength. 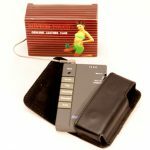 Customers report either feeling the stimulation immediately or they wait up to two weeks before feeling the sensation (with their consistent use). Take it at your own pace but use it at least once a day for no less than 15 minutes. Consistent use is the key; don’t expect to get the same results sitting down for two hours once a week as you would if you used the slippers 15 minutes every day. Do our pads work with other products? Yes! 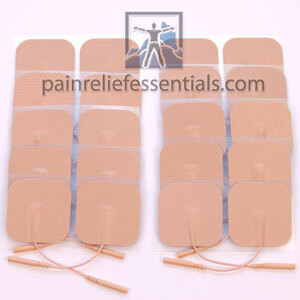 Dr Ho’s Massager attached to Pain Relief Essentials gel pads. Here you can see Pain Relief Essential electrode pads attached to the original Dr Ho’s Massager. We have tested the pads with the unit and they work very well!